So: you want to be an expert spy. Very well. There are a few things you’ll need. Some smart gadgets. Some cunning codes. And the wisdom of past spy masters. But in fact, there’s only one thing you really need: this awesome mini kit. It gives you all that stuff. The cool gadgets, the expert training and your own top-secret missions to complete. 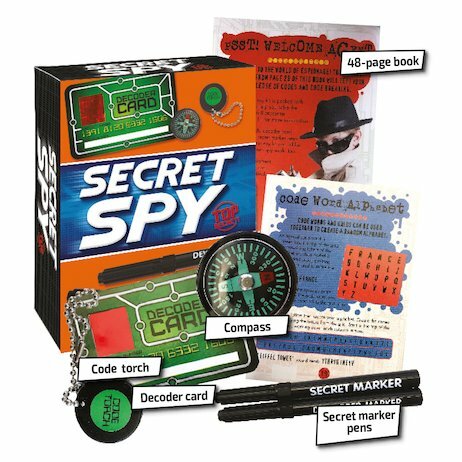 Prove you’ve got the brains and nerve to become the world’s best secret agent!